AMSTERDAM, The Netherlands – HARMAN’s Studer is building upon the highly successful Vista 1 digital mixing console platform and showing its commitment to supporting existing customers with the addition of world-class Lexicon® effects through an integrated VistaFX engine. Adding world-class Lexicon effects expands the applications for the console, increasing its appeal in live and theatrical production environments. VistaFX is a suite of effects processing engines capable of providing high-quality world-renowned Lexicon effects, and was released last year as an external engine for the Vista 5 and Vista 9 consoles ranges. The Vista 1 FX engines are all integral to the consoles DSP system, so require no external signal connection or patching. As all the hardware required already exists within the console, the new functionality is available as a software upgrade to existing consoles as well as provided as standard in new systems, and without loss of mix processing power or I/O capacity. 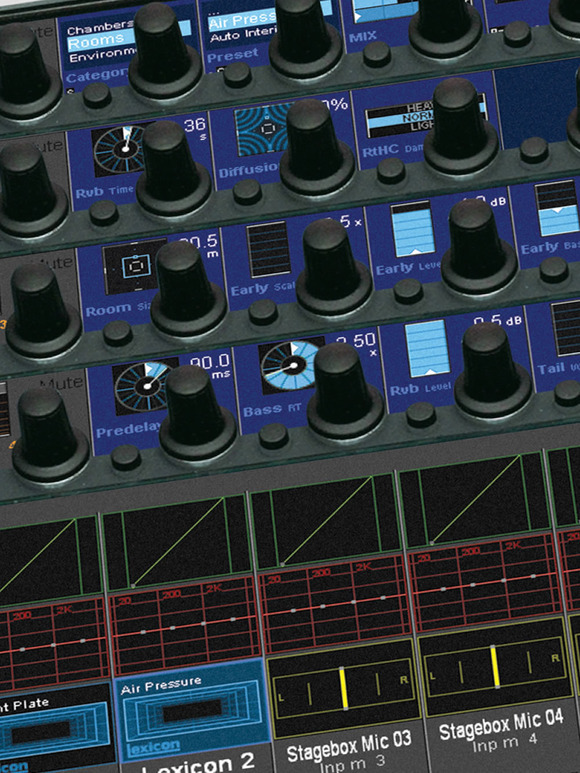 In the Vista 1, eight FX processors are available from two internal FX engines to be patched or inserted onto channels or groups, and these may be assigned by the user to provide mono, stereo or 4-channel effects processors. The latter 4-channel mode is especially useful on surround signals where effects may be applied to the four surround channels L/R/Ls/Rs. Control and adjustment of the effects is achieved through standard Studer Vistonics™ operations, in just the same way as the external VistaFX units work with the larger Vista consoles. Assignment to a channel or bus is made in the patching windows, using the Channel Insert Point. Touching the FX icon opens up the FX parameter view on the Vistonics area ready for effect selection and parameter adjustment. Available Lexicon FX types include, Reverbs, Chorus/Flanger, Delay, Resonance, Reverse Pitch Shift/Pitch Effects, with hundreds of different presets available with up to 16 adjustable parameters per preset. All FX parameters may be copied/pasted between channels and into and out of the Clipboard Library, and are stored as part of the snapshot/cue automation system so can be recalled quickly when needed.